So, what was this time reason that you mentioned 'wannabe monks' Dimonds? Take this advice - study Church's teaching about predestination which was promulgated on Church's Councils in Carthage and Orange and which is based on st.Augustine's teachings, and then you will not have need to mention them in your articles. Probably Dimonds do not believe in the predestination dogma as well, so it is same advice for them. B.o.D. is irrelevant if you believe in predestination dogma, because God is omnipotent and nobody could die without baptism if he is elected to salvation. And yes, you can not stand Dimonds because of B.o.D. and you called them feeneyites although Church's doctrine of predestination is more than thousand years older then rev.Feeney and Dimonds. I mentioned the Dimonds because they lead many people astray as some kind of "Magisterium," which must be obeyed. See my article of May 15, 2017, "Do It Youself Theology" for more. Predestination is not the same as BOD. The former explains THAT you were chosen, the latter explains HOW you were chosen. I also did a post on predestination (See "The Elect" of April 17, 2017). The Feeneyite heresy is named after Fr Leonard Feeney who denied BOD and BOB not your false notion of predestination. Predestination is not explaining that we are chosen. Protestant heretics believe that they are chosen, catholics hope that they are chosen. That is big difference as between truth and lie. And B.O.D. is no way to explaining how we are chosen. St.Augustine wrote that nobody can't know why God had some people elected, and others rejected. B.O.D. is false doctrine which denies God's omnipotence, because God reveals to us in John's Gospel that nobody could be saved if he was not born again in water and spirit (i.e. baptism), and B.O.D. is saying that sometimes God can not provide to His elects water and other person for baptism so it is enough to have only desire for baptism. Many modern catholics like to believe in that heresy because they have many relatives, friends and ancestors who are not baptised. Yes, it is true that there is a Catholic doctrine of predestination which was made corrupt by heretics. That fact that we have no certainty is but ONE factor. You obviously didn't read the post I directed you to above. The Church has ALWAYS taught through Her Universal and Ordinary Magisterium that BOD and BOB are substitutes for Baptism of water in God's plan. Could God have chosen differently (only save with water)? Yes, but he didn't as the Church teaches. Why? Know one knows the mind of God. Doctrine of predestination can not be corrupt by heretics as any truth can not be corrupt by any lie. There is none dogma about B.o.D., tell me who, when and how promulgated that man could be saved only by desiring baptism? As I wrote before, B.o.D. is mocking God's omnipotence and election of saints, and make also God liar because He said in John's Gospel that nobody can enter in the Kingdom of God if he is not born again in water and spirit, i.e. baptised in water and have desire to be baptised which comes from God's grace to his chosen people - saints. And nobody is also saved to whom God also doesn't give His mercy after baptism to preserve faith during life till death. Anybody who teach otherwise is pelagian or semi-pelagian heretic. 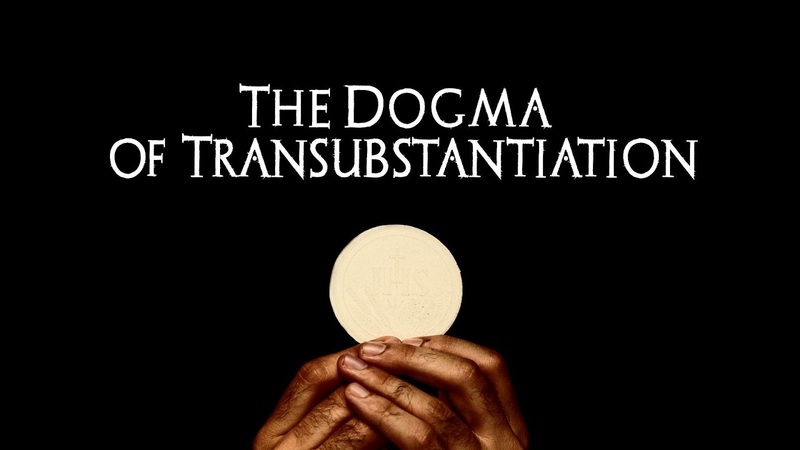 Unfortunately the most of traditional catholics including sedevacantists do not believe in Church's dogma of predestination, and main reason is that they believe that everything before John XXIII was orthodox in Rome. You shouldn't generalize an entire group of adults and children. Our chapel ignores every change after 1950. We don't believe "everything before John 23rd" was Orthodox. Like a typical Feeneyite, you reject the Universal and Ordinary Magisterium (which is infallible according to the First Vatican Council) and its teaching on BOD and BOB. You substitute it with your own private interpretation of what you THINK teachings mean. For example, the Church teaches that the portion of the Gospel of St John you quote is talking about the MATTER of the sacrament. You must be baptized with water not milk or beer as Martin Luther taught. The Church also venerates St Victor as a martyr, even though he clearly died as a catechumen without Baptism. He was saved by BOB. God is not limited to His Sacraments. Finally, Canon 1239, section 2 of the 1917 Code of Canon Law declares, "Catechumens who through no fault of their own, die without Baptism, are to be treated as Baptized." Why?? According to canonists Abbo and Hannon, "The reason for this rule is that they are justly supposed to have met death United to Christ through Baptism of Desire." (See "The Sacred Canons" Volume II). The 1917 Code was promulgated by Pope Benedict XV, and the Church is infallible in Her universal disciplinary laws, such as the Code of Canon Law. BOD is therefore taught by the Church, and to deny it makes YOU a heretic. Please don't respond UNLESS you read my post I already referenced "Do It Yourself Theology" from this May. You will see how you reject the Church in this post and hopefully repent. As to "everything being orthodox before John XXIII," it was, although Modernism had crept into high office waiting to strike. The Chapel that refuses the changes of Pope Pius XII, does so because of the noxious effects to which it gave rise. This is the reason the SSPV does the same. The changes cannot be heretical in and of themselves because the Church cannot give evil. You would be declaring Pope Pius XII a false pope by profession of heresy. I'm sure if the commenter above asked the priest at his chapel he would get the same answer--like the SSPV. Modernism was on the rise, but there were not errors until Roncalli. Feeneyites need a fallible "Church" to maintain their heresy. So you are citing Code od Canon Low from 1917. as something it should be dogmatic and the truth of the all times. Don't you know that Church before that forbade to said the Holy Mass from any man, adult or infant, who died without baptism, and the same could not be burried in catholic cemetery? That what you have cited is new teaching, and there is no such novel teaching in the Church. For sure, John XXIII was not the first antipope in the modern times. Please cite the pre-1917 papal decree that forbade the granting of Christian burial to catechumens. If what the Code declared was novel teaching St Victor wouldn't be venerated as a Saint for centuries before the 1917 Code. Roncalli wasn't the first antipope? You might want to join Richard Ibranyi and his cult in New Mexico. According to him there hasn't been a pope since 1130 AD. What you propose is lunacy not Catholicism. Of course Pio XII was not pope, because he wrote in 'Humani Generis' that theory of evolution could be true. He also said to Italian's midwifes that NFP could be justified. And Benedict XV in 'Ad Beatissimi Apostolorum' wrote heresy that all men are God's children. Do you Introibo believe that the Pope could write document which containes heresy, and still to remaine as the Pope? No, I don't believe that a pope can teach heresy. The problem (with your thesis) is that what they wrote ISN'T heresy. Evolution of the body is possible. Pope St Pius X taught that the universe might be very old and that it does not contradict the Bible. Of course, he's not really a Saint for you because Pope Pius XII canonized him. The Assumption is not dogma either because Pius XII proclaimed it. There's nothing wrong with NFP when used in accordance with Church teaching and not simply to avoid children in marriage. We are "all God's children" taken in the context written simply means we are all created by God and He desires our salvation. However, you do not read what the Church teaches through Her approved theologians. Was Pope Pius X (not a Saint for you) a real pope, or did your private reading of something he wrote push the last pope back to Leo XIII? Again, this is private interpretation run amok not Catholicism. What is evolution of the body? How can the Pope wrote that Book of Genesis could be wrong, and perhaps God put soul of Adam to the body of some monkey? It is heresy and I don't doubt that every true Pope would condemned Pio XII. And of course it is heresy that all mankind are children of God. Don't you know that adoption of God's children is the true effect and the meaning of baptism? If someone is God's son or daughter he can not end in the Hell, because God will not allow it. Bur we again by sin lost that sanctifying grace and become again God's children by the sacrament of confession. If every man is God's child there is no need for baptism, confession and the Church. You mentioned that God desire is to save all mankind. That is root for rejecting dogma of predestination, and st.Augustine teach us that God wills that all people, from all races and nations, from both sexes and from all positions within society be saved who are His chosen for salvation. How can God desire something which will not happened - heresy of universal salvation? I did not mention without reason that you, and many traditional catholics and sedevacantists should find out Church's dogma of predestination and many things will become clear then. Wow. That is loaded with misconceptions. Evolution of the body is not about "monkeys." See my post "Monkey Business About Creation"
For the Church's teaching on predestination read my post "The Elect"
You ask, "How can God desire something that will not happen?" Easy answer: "Free Will." You desire that your children grow up and become God fearing adults; however they have free will and might not. God will not desire something so as to override our free will. That is Calvinism. I urge you to learn the faith. May I suggest "Fundamentals if Catholic Dogma" by theologian Ott. You can by it used off Amazon.com. Once you understand the Faith properly you will reject your errors. No, it is nor calvinism or jansenism, it is official doctrine of the Church promulgated on Councils in Carthage and Orange. God is not imposing by force his will on man, but His grace is acting on human as the most desirable good which is more atractive then any creature for which man has concupiscence. Man's heart is always turning where he see greater good for him, and nobody will turns to less good. If that is not true, then Mary could resist to God's proposal, and even Jesus human nature and His human will could oppose God's will and there will be no salvation at all. That god whose grace is not stronger than man's concupiscence can not be true God. Also, if God's grace is not superior to everything else, then angels and saints could rebel against God in eternity. And that is impossible as it was impossible for Mary to reject to be Theotokos, and as it was impossible for Jesus human nature and will to reject God's will to go on the Cross. Most of modern catholics are in this in pelagian's error. You did not read the post with the teaching of the Church. If God's grace is only acting on some and not on others, the fault would lie with God, not the free will of people. The Irresistible grace doctrine is Calvinist not Catholic. Read the theologians who explain Church teaching. No, it is not calvinism, but the teaching of st.Augustine which is accepted as Church's teaching (but which was rejected in modern times from jesuits as jansenism or calvinism since they have not guts to condemn great Church's father st.Augustine). And there is no unjustice if God elects some people for salvation, and others rejects. Because every man is sinner before God, even infants. It is similar as King could give mercy for someone who deserve capital punishment, and does not give mercy to other criminals. I repeat, if God's grace is not irresistible them Mary could reject to be Mother of God, Jesus human will could refuse to go on Cross, and angels and saints will for sure rebel against God, because eternity is big enough that every little possibility for rebelion will take place. That is impossible, because God is God, nobody can resist Him, or resist His grace. How could God even made the world if there is possibility that every angel and man will rebel against Him? God is not playing with probabilities, He is almighty God. And st.Augustine answer to pelagian's objection to God's supreme grace and will is: if you are looking for rewards, you will find only punishments. Yes, pelagians like to say that they could resist God's grace, so they want have rewards from God for not rejecting His grace. St.Augustine answered them (in my interpretation) - you will have punishments because you don't know and don't have faith in true God who is Almighty. St.Paul said that God is not only make us capable to do good, but also to will us to do good. So, nobody is good by himself, but by God's grace which change the heart of sinner to the heart of saint. Mary is not by herself the most blesses creature, but by plentitude of God's grace. And I repeat, if Mary could reject God's grace, there will be no Jesus Christ and our salvation. And you think that God will take that risk and throw the dice? The part where you say, "In my interpretation" says it all! Not the Church, but Emil. God knows who's going to reject and accept Grace because he knows the future. Mary could have rejected God's grace but she chose not to, and God foresaw this about her. In similar fashion, if I were on the roof and observe two cars speeding towards each other I would know they will crash beforehand, but it was the free will of the drivers that caused the accident not me. You don't understand what I was writing, i.e. you don't understand st.Augustine teaching about predestination, God's grace and the original sin. Man's will after original sin is to be voluntary slave to Satan, and original sin is real sin, not something imaginary sin. Church in Council in Carthage anathemize anyone who is saying that unbaptised infants go to some middle place between Heaven and Hell. So punishemnts for original sin is Hell, it is real sin. How can it be, if it is sin of Adam? It is traducianism, but that is another subject. I know that modernist theologians teach that God wills salvation of all mankind, but that is not teaching of st.Augustine and some other Church's fathers regarding st.Paul sentence to Timothy. Human's free will is not same as before Adam's sin. We are slave of Satan, and without God's grace we can not do any good. Please read canons of Council in Orange (A.D.529). I will not write anymore as I repeat myself. You interpret those Councils to YOUR LIKING EMIL! St Augustine is not the only theologian and the Church must decide what Her teaching means through the unanimous consent of Her theologians. There were many that disagreed with St. Augustine. You repeat yourself because you have nothing to say in response to my pointing out how you have repeatedly twisted the meaning of the Gospel of St John regarding water Baptism, etc. Emil has set himself up, in typical Feeneyite fashion, as his own Magisterium. That places you outside the Church where there is no salvation. I'll be praying for your conversion Emil. I assume the commenter above, although anonymous is Emil ! Introibo, you wrote: "Pope St Pius X taught that the universe might be very old and that it does not contradict the Bible." When and where did Pius X teach this? They're (subjects of this post) laying the groundwork for the Antichrist system. I think the following is within the range of the topic. The Sam Harris' horrible quote reminded me of a thought I have not asked in public, and perhaps this is a good place to do so. I used to like Pink Floyd, many years ago. On their 1973 album The Dark Side of the Moon, there is a cryptic lyric which I never had any idea what it meant, until I went to the traditional Mass. I have wondered what anyone else thinks it might mean. To hear the softly-spoken magic spell"
The lyric writer was Roger Waters, who fancies himself as a cynical, nihilistic intellectual. Is this a blasphemous and contemptuous reference to the Mass? I think it might be, but have wondered what others may think. Without a doubt Pink Floyd, like most contemporary rock and pop music glamorizes the occult, drug abuse, and rebellion against God. In their song "Sheep" from their album entitled "Animals," contains lyrics that are a blasphemous perversion of Psalm 23. They compare God to a butcher Whose job is to kill the sheep (believers in Christ). It then calls God a "bugger" (in England at that time, it meant a sodomite) and calls on us to overthrow God from our lives!! And then we'll make the bugger's eyes water"
Yes, the lyrics you mention Mike are another blasphemy against God mocking the Mass. The devil HATES the True Mass. The term "hocus pocus" used in magic tricks for kids has an anti-Catholic origin as well. The words of Consecration over the bread are "Hoc Est Enim Corpus Meum." 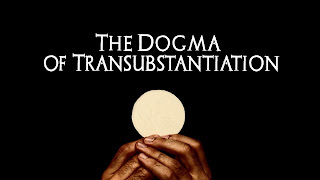 The so-called Protestant "Reformers" claimed it was "pope-ish magic, turning bread into Christ; "Hoc Est, Poc Est." This was corrupted to "hocus pocus." The world has always been in rebellion against God since the Fall of our First Parents. It has only gotten worse during the Great Apostasy and bands like Pink Floyd. Wow never knew Pink Floyd was so Antichrist! Back in the early 1990s I did a study (spread out over 5 years, as I am a lawyer with a full-time job) on rock and pop music from circa 1964 onwards. You wouldn't believe the extent of the Satanic influence in music; including some deemed "wholesome"! If you ever win the lottery you should do an expose! I have seen documentaries about pop music satanism and you're right,its shocking. If I win the lottery it will definitely be on my "To Do List"! "The Exodus is here,I don't need forgiveness"
Oh yes! Pete Townsend of The Who, claimed to have deep "spirituality." The band was into Eastern Mysticism, and he allowed the song "The Seeker" to be used by atheist scum Bill Maher for his film "Religulous" ---a neologism combining the words "Religion" and "ridiculous." Townsend is quoted as saying, "Bill Maher is a comedian. I am a songwriter... I have faith in what I would call God, but I am not a religious man. I don't want to press my views on other people." "What I would call God" and "I am not a religious man." Need more be said? I thought that the "Sheep" lyrics were describing the lot of animals going to their end in the abbatoir, and one day hoping to rebel against the slaughterman. But that Roger Waters character is a clever fellow and using the Psalm is quite blasphemous. I hope for their sakes it isn't as bad as that, but with rock music, anything is possible. 1964. The Beatles? When my dad first saw them on television, he can still describe the immediate horror and dread he felt when they appeared on the screen, with their funny haircuts and that they "looked like girls". He truly and without exaggeration thought that it was a sign that the Antichrist must be about to appear in the world. Your dad could spot what was wrong when most people couldn't. It was the beginning of the Great Apostasy, leading us, perhaps, to the Man of Sin in the not too distant future. Can you print the music study you did years ago? I am interested in reading it or make it an upcoming article? I have read southern protestant preachers were saying late 50's rock n roll was a sign of the Antichrist system being on the horizon. They could see it happening in 1957. The much maligned Archbishop Sheen (he did accept the new order regrettably) was saying psychology was replacing the confessional in 1953.As a result,he feared society was heading in a Godless direction. Some men were smart enough to see what was happening in the 1950's. True. Regrettably, Abp. Sheen fell victim to Modernism. He admired the heretic Teilhard de Chardin. He played with fire and got burned. I hope he repented before he died. My study is long and consists of an analysis of many singers and bands. It relates the evil influences in each one. It would take many, many posts to cover the information (not to mention a lot of editing; I did not have time to thoroughly check my work). I would not be adverse to making a post focusing on one or two bands every couple of months if this is something my readers would want. So let me know, David and the rest of you. Send a comment if you want me to do that. Introibo - Great idea about doing posts on the bands! Would be very interesting. The bands of the 1960's certainly had much influence on the degenerative decline of the times, but so did Freud. He became the "Pope" of psychoanalysis with his psychologist "Priests" replacing the confessional and then followed by Prozac, a pill to swallow, as food for the soul. Fake "Pope", fake "Priests and fake "Communion", just like today with Francis the fake, his fake Priests and fake Communion. History certainly does repeat itself. Indeed it does Joann! Thanks for your input also re: posts on music groups. Yes, that would a great monthly rotating post topic. Thanks David! I think I'll put out the first post next month, and if the reception is positive, I will keep it as a series of posts (one per month). I'd enjoy reading your study on pop music. So noted! Thank you my friend. I too would benefit from your study on rock and pop music. Thank you! I will run a first installment next month. If the reaction is positive in both feedback and traffic to this blog, I will continue it as a once per month series! Hi, I made this comment earlier but either you did not approve of it or it never got through. You should stop criticize the Dimonds on their UFO research, since it makes you look like a fool -- and you may perhaps even be committing a mortal sin. Have you even read the material they produced on the topic? If I recall correctly, you said you have not in another post/comment (but I may be mistaken). If true, Do you not fear God? Also, why you compare or lump together MHFM's UFO research with individuals as those you listed in this post -- that spoke in favor of them (as if UFOs are something else than demonic) -- is also impossible to understand. MHFM exposes the UFO/Alien phenomenon as demonic, and they do it in a very good way. That you actually complain about this, when tens of millions believe in UFOs -- and perhaps billions more in other civilizations in our universe (which is also refuted by them) -- only makes you look like a fool, since you obviously have no understanding of this issue or the real ramifications of it. To learn that the UFO/Alien phenomenon is demonic (and nothing but demonic without exception) is very important to know about today -- and especially more so since the media indoctrinates people into believing in other civilizations in our universe; and unless people actually are taught this (that Aliens/UFOs are demonic and that only Earth is habitable, or created as God's purpose for humankind to live on before the judgment), people -- even those calling themselves christian -- may instead get the impression that they could be some advanced civilization, or something more “mysterious”, which may make them fascinated into learning of the “secrets” behind this phenomenon and delve into the occult, so to speak. Since most non-christians probably will not want to believe this phenomenon is demonic, people like Eric Von Daniken and even Francis (whom you criticized) is to be excepted. The only part about their UFO book I did not like was the second part* -- but that was only because they made many bold assumptions about the motives of why people did this or that (such as they lied etc.) but which, of course, they cannot know is true. But overlooking this, part 2 also refuted some of the more well known “proofs” of the existence of ufos and aliens and debunked them. *Part 1 was actually really good at exposing ufos as a completely non-physical manifestation (demonic) in the cases it could be determined the phenomenon was not natural (aircraft, weather balloon, secret technology etc.) with the observations from the top ufo experts in the world themselves. Examples demonstrating this: a physical object can't make a 180 degree turn in a split second, but these ufos are known to make such movies frequently; neither can a physical object fly through objects, or merge together or separate themselves again into several ufos. Once I learned about St.Victor & St.Emmerentiana,the Dimond Bros look foolish. The Dimonds make EVERYTHING look foolish. They are not real Benedictines, and while I agree some UFO activity is demonic, the fact they are talking about it makes people less likely to believe them. With all that's wrong in the world, UFOs are not at the top of the list, and if not spoken of correctly makes you appear strange.